Features and cost are the two main selling points for me. 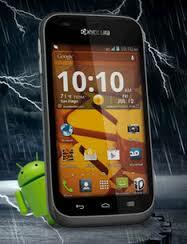 I use the Kyocera Hydro phone that weighs in at a whooping cost of $42.95 on Amazon.com. I must admit that I periodically suffer ridicule from my Apple Fanboy friends when they see my Android phone! Until I tell them about the Boost advantage… that advantage – cost and service! I pay less than $50.00 per month for UNLIMITED EVERYTHING through Boost mobile who uses the Sprint network. Big bonus is no contracts! Month to month, pay as you go. Did I mention unlimited everything? But now Google has entered the market with the Project fi with unlimited domestic calls and texts starting at $20.00 per month and you can add friends and family or $15.00! There are limited phone choices but for me that doesn’t really matter after using an Android that does everything I need. Then there is a company most have never heard of but is well known by those that value the dollar. Those that don’t have money to blow and would rather spend it on experiences than material things. The company is called Republic Wireless with plans starting out as low as $15.00 per month. Seriously, read more about it on their website, Republicwireless.com. Think of all the options of having a lower phone bill that does everything you need! Check these out and do your own research, you may want to make a change. Do the math of all the money you could be saving. You might be surprised if you do the math.